We set out to make January a typography-themed month on our social media channels because we thought we could have a little fun, and also hopefully educate some of our followers about some type terms – both the obscure and not so obscure. Below is a round up of the type terms we explored in case you missed any! Serifs are rad and come in all weights and sizes. Fonts without serifs are called sans or grotesque, but we think they are just as lovely. Ever wonder where we get the terms “UPPERCASE” and “lowercase”? 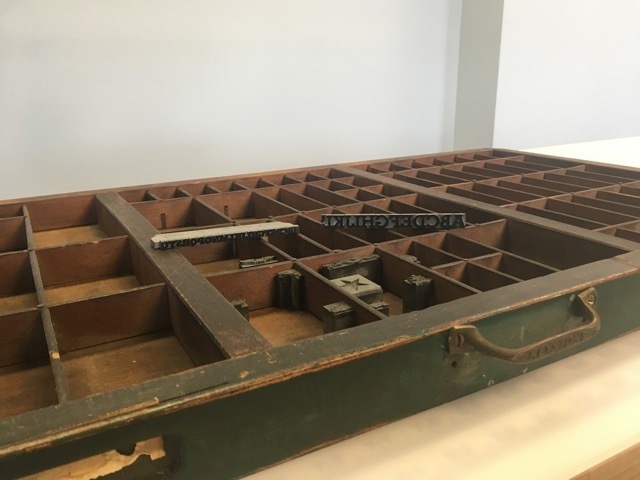 A long, long time ago (sorry, Don McLean, further back than that), type was carved out on wood or metal blocks and complete fonts were stored in 2 drawers of a case (shown below). The taller characters we know as uppercase, were stored in the top portion of the case. The smaller letters along with punctuation and space pieces were stored in the case’s lower drawer. 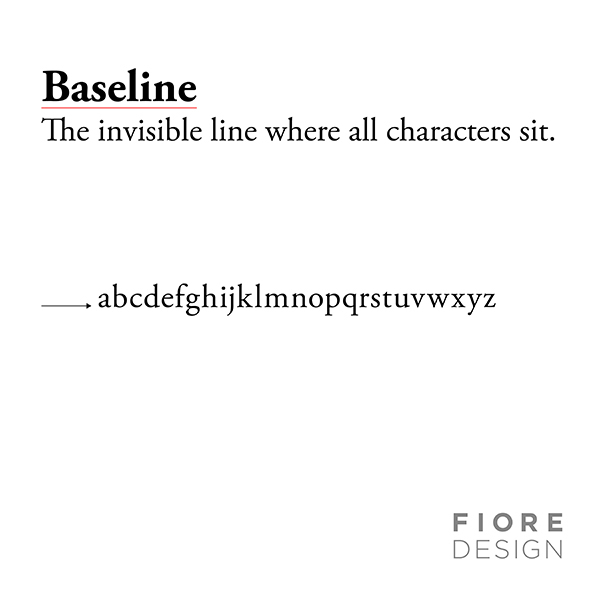 Yesterday’s post taught you about baselines, and today we are adding two new words to your #typography vocabulary: ascender and descender. If you read our post on ligatures, maybe your mind was blown to learn that the ampersand is a ligature! Here is how it is formed. This is a link that explains ligatures well. We’re continuing #typographymonth with an explanation of kerning! When letterforms aren’t kerned correctly, you’ll definitely notice! We hope that our posts were entertaining and informative – hey maybe even try using these terms in your daily conversations to impress your friends and family!